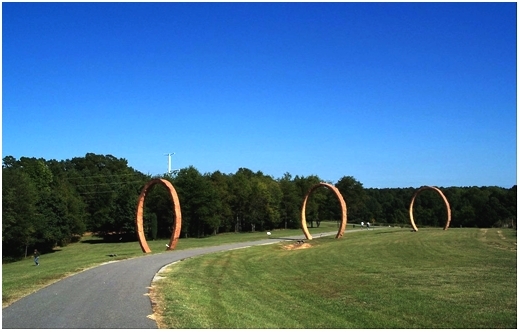 Stewart has been selected by the North Carolina Museum of Art to design the next phase of their internal trail network. The project includes new 10-foot wide asphalt trail that will connect to the City of Raleigh’s existing House Creek Trail to complete a 1-mile loop to be called the Blue Loop. The project also involves the realignment of existing stone surface trail, intersection design, regarding of existing trail and shoulders, design of boardwalk transitions between paved and unpaved trails and a planting plan for a vegetative buffer along a power easement. Stewart is providing surveying, geotechnical engineering, trail design, landscape architecture, construction administration and construction materials testing for the project.